We’re please to inform that the HTC Widget is back to work ! 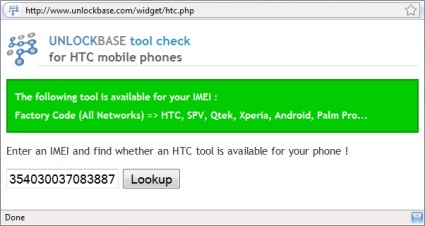 And we also just update the HTC Supernew Records Database with 2.500.000 IMEI (Mostly HTC One X, HTC One S, HTC One XL, One V, Sensation XL, Runnymede, X315e, Desire HD, Ace, A9191, Spade, Incredible S, Vivo, Desire S, Saga, S510e, Droid Incredible 2, Inspire 4G, Stallion, Flyer, P510e, Primou and Velocity 4G). We’re please to inform that the HTC Widget is back to work ! 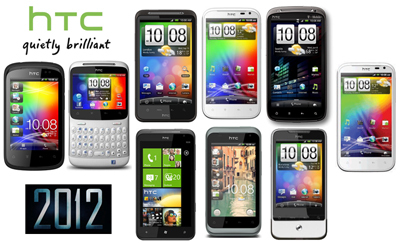 And we also just update the HTC Supernew Records Database with 2.500.000 IMEI (Mostly HTC One X, HTC One S, One V, Sensation XL, Runnymede, X315e, Desire HD, Ace, A9191, Spade, Incredible S, Vivo, Desire S, Saga, S510e, Droid Incredible 2, Inspire 4G, Stallion, Flyer, P510e, Primou and Velocity 4G). We also start few weeks ago a new service “HTC Factory Code (Not Found)” : If your code came back as Not Found when you use the tool “HTC Regular, HTC New Records or HTC Supernew Records 2011/2012“. Then until our supplier update the database like today, you can use this tool “HTC Factory Code (Not Found)“. Service is not Instant, but delivery one time a day 7 days a week ! There is only ONE way to be ready for Christmas Season 2011. It’s to work with the only server to support unlocking of hot HTC Model of 2012 including Sensation, Sensation 4G, Sensation XL, Sensation XE, Titan, Explorer, Legend, Desire HD, Rhyme & Chacha. and update it with 3.5 Million IMEI of Fresh Records ! Webmaster & API developers : We also release an API just for you so you can offer this Widget brand free on your website to redirect your customers directly to the right tool.